1） 朝田隆：厚生労働科学研究費補助金認知症対策総合研究事業 都市部における認知症有病率と認知症の生活機能障害への対応. 平成23年度～平成24 年度総合研究報告書. 2013. 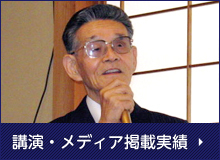 3）宮崎総一郎：睡眠とは. 睡眠からみた認知症診療ハンドブック. 全日本病院出版会,東京, 2016, 2-7. 5) Kurono Y, Minagawa M, Ishigami T, Yamada A, Kakamu T, Hayano J.Acupuncture to Danzhong but not to Zhongting increases the cardiac vagal component of heart rate variability. AutonNeurosci. 2011; 161. 116-20.